HESTON BLUMENTHAL�S EASTER INTERNET FRENZY :: Boffer Ecommerce News! 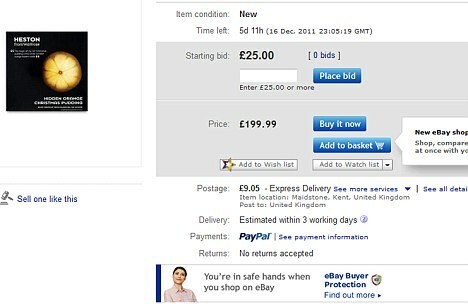 Some may remember Heston’s epic orange-filled Christmas puddings selling online for up to £155 on eBay, with some eager eBayers listing their stock at £250 each. The Heston from Waitrose range originally launched in 2010 with his Hidden Orange Christmas Pudding raising the barrier for premium desserts. 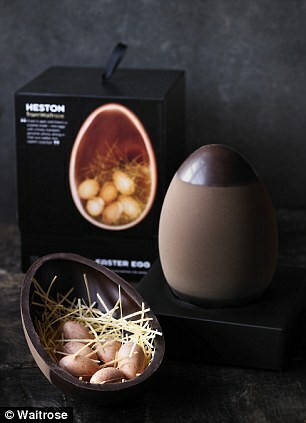 Following his sell-out success Heston is now turning his skills to deliver this Easter’s must have! Only 8,000 hand-crafted eggs have been made for Heston’s range to be sold for £20 in Waitrose with the expectation to fly off the shelves and on to eBay. What do you think? Will Heston pull off another chocolate-y internet frenzy? We won’t have long to find out, Heston’s Easter range launches in store tomorrow!